The first session of the new Delhi assembly begins today and will continue till Jamuary 7 during which the Arvind Kejriwal-led government will seek a vote of confidence on the floor of the House. The new MLAs will be administered oath today while on January 2, the government will seek the trust vote. The election of the Speaker and the Deputy Speaker will be held on January 3. Lt Governor Najeeb Jung will address the House on January 6. On January 7, a discussion on Jung’s address will take place. In the 70-member assembly, AAP has 28 MLAs, eight short of a majority. AAP has the support of 8 MLAs of Congress, which is expected to see across the half-way mark. BJP has 31 members and its ally Akali Dal 1. AAP has named first-time MLA M S Dhir as its candidate for Speaker’s post. 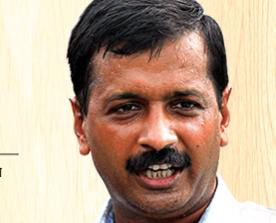 Chief Minister Arvind Kejriwal said senior Congress MLA Mateen Ahmad will be the pro-tem speaker. A pro-tem Speaker presides over proceedings relating to taking of oath by new members and other business till the election of Speaker. Senior BJP leader and MLA Jagdish Mukhi had already declined to be the pro-tem Speaker of Delhi Assembly.